When you’re caring for an older adult with dementia, loneliness is a common feeling. It might feel like nobody else understands what you’re going through, even if you have a good support system. You also might avoid sharing the full details of the situation with family or friends because you want to protect them from the harsh reality. This can compound the stress and make you feel more alone. 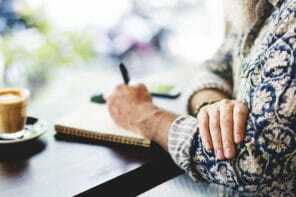 Dr. Barry J. Jacobs writes about caregiver loneliness in dementia care and shares 4 tips to help you overcome it and work toward more balance. As a member of the AARP Caregiver Expert Panel and a clinical psychologist and family therapist, he’s an expert on the challenges of caregiving. Here, we share essential tips from his article. You need caring people in your life to support you as you care for your older adult. Even though you may need to make an effort to keep them close, reach out to family and friends. Those relationships help you reduce stress, prevent isolation, and boost your mood. A caregiver support group is another wonderful place to meet people who are in situations similar to yours. Fellow caregivers will understand what you’re going through. 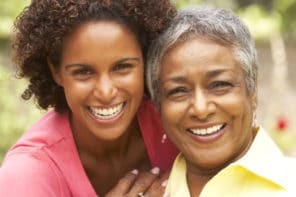 You might even be more comfortable sharing the not-so-nice details of your caregiving life and how you’re truly feeling. You could also benefit from both in-person and online groups. It’s great to have people to get coffee or lunch with, but to stop the feelings of loneliness, it also helps to have deeper relationships. These are the people you feel comfortable sharing your real feelings with – good and bad. You can truly confide in them and trust that they’ll be supportive. You might think that sharing any negative feelings will make you a burden on others or sink you into a depression. But sharing and connecting with others will lighten your emotional load. It will also help others get a better understanding of the situation so they can better support you. You might instinctively wave away any praise from family or friends. It could be because you don’t feel like you deserve it or because you feel like they don’t know enough about the situation. But it’s important to accept praise. It’s another way to connect with people who care about you and allow them to provide support by cheering you on. If caregivers had family and friends for support, of course they would be less lonely and depressed. But the reality is very few people care about dementia patients or their caregivers. Family and friends quietly disappear because most don’t want to be bothered. It is the exceptional few that are willing to listen and be supportive. It is practically nonexistent the number who will actually help without expecting to be paid. Caregiving support groups mostly reinforce what people already know and that isn’t necessarily uplifting. Counseling, whether online or in person, cannot change the circumstances, and is often dependent on payment. There needs to be much more publicly funded support because most families run out of money. But even in this circumstance, helping others is little more than a job. People get burned out and numb to caring. Exceptionally few people care and will volunteer for strangers. If more did, burdens could be more widely shared. Everyone is in a different situation when it comes to their support network. Some are fortunate to get wonderful support from family and friends and others don’t get the help they need and deserve. Similarly, many people have found that caregiver support groups and counseling or therapy are great ways to get added support and help them get through difficult situations. Each person is different, so it’s worth a try to see if a particular type of support will work for you. Really a nice blog to share and discussing the caregiver loneliness and how she feels isolated from others thus making the dementia care even harder. Thanks for the informative blog. Keep sharing such more blogs.